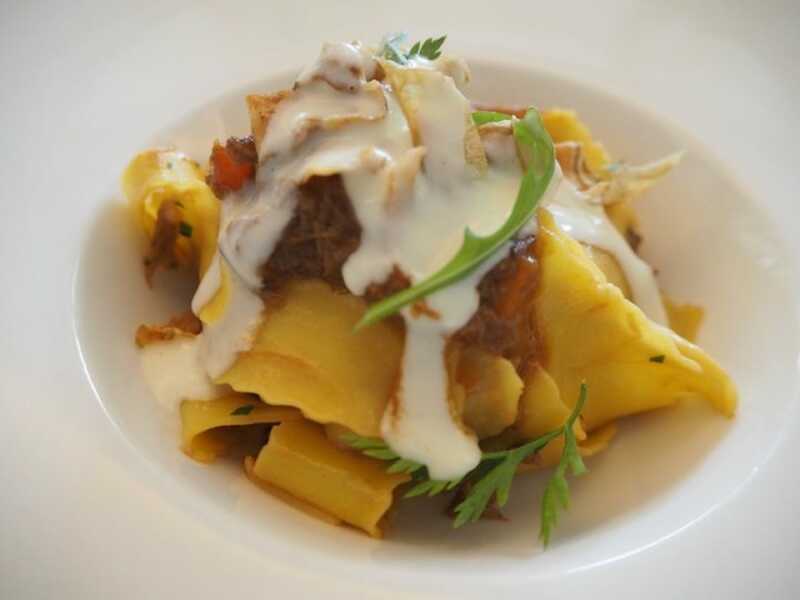 A round-up of good eats and dining news from Singapore in February 2019. This month, we suss out the new menus at Michelin-starred Bacchanalia By Vianney Massot and Mandarin Oriental Singapore’s newly revamped Dolce Vita and dive into Kyoto’s seedy, glamourous underworld with Coterie Concept’s newest chapter Chi Kinjo. Homegrown brands fly the flag for Singapore with PS.Cafe’s overseas debut in Shanghai and New Ubin’s swanky new hotel restaurant that turns the concept of zichar on its head. 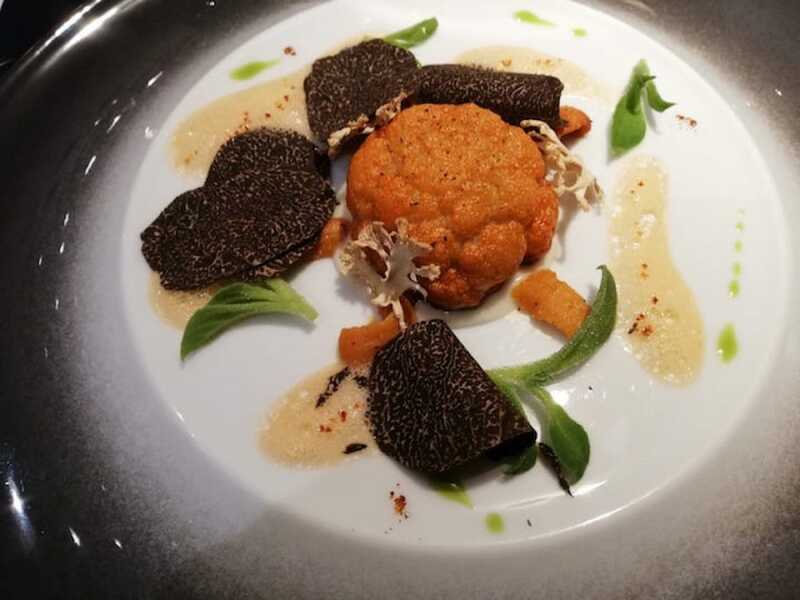 French chef Vianney Massot of one-Michelin-starred contemporary French restaurant Bacchanalia is going big on black truffle from Perigord that are in season till March. He uses them liberally in his new dishes, such as Le Chou-Fleur and La Truffle Noire. Le Chou-Fleur (above) is a tandoori-orange cloud of French baby cauliflower that is judiciously coated in lobster roe and butter. The cauliflower is juicy and crunchy, and soaks up the umami flavours from the roe. Alternate bites of the savoury cauliflower with the accompanying rich and flavourful lobster bisque. Be swept away by the compelling tale that links all of Coterie Concepts’ establishments. The dramatic narrative begins with Sum Yi Tai, the influential third wife of a Hong Kong mobster and her namesake Mona Lounge tucked in the back of the glitzy Hong Kong triad-inspired bar and weaves its way through her rebellious stepdaughter’s eponymous Shanghai-themed cocktail club Eliza. The third and latest character is Mona's Japanese love rival Chi Kinjo and her modern sushi restaurant and basement bar on Stanley Street. 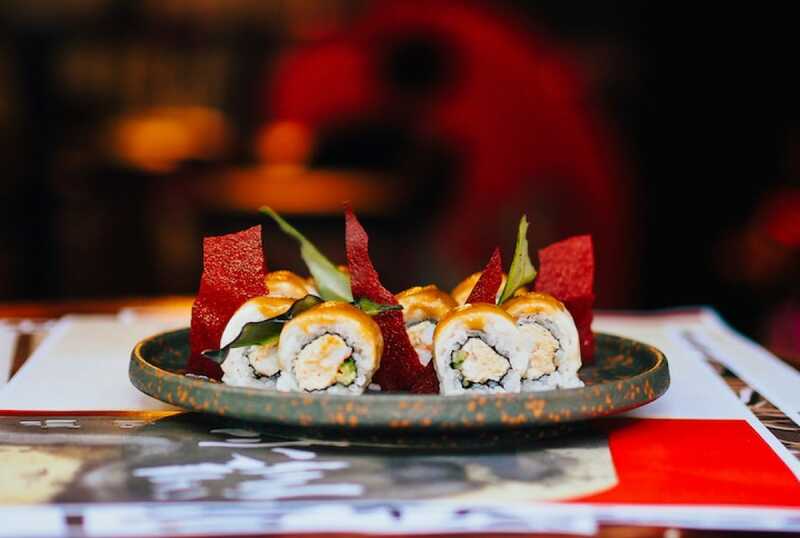 The food is as colourful and creative as the storytelling: think complex makis and sushi rolls with contrasting textures and flavours, or smoky, luscious mouthfuls of blowtorched Aburi Nigiri with toppings like salmon and foie gras or creamy Japanese yellowtail with rich tobiko cheese. Wash it all down with creative cocktails by acclaimed group chief bartender Sam Wong in the cosy basement bar and discuss the next instalment of the juicy story. 29 Stanley Street. 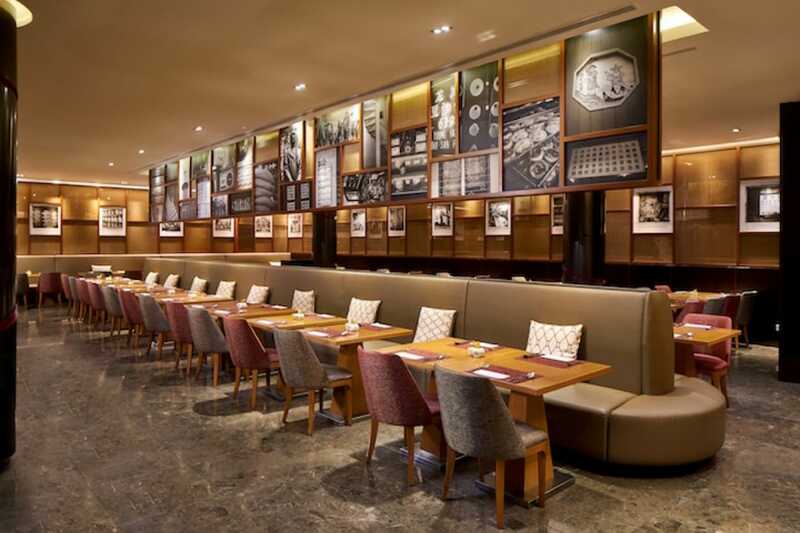 Homegrown restaurant chain New Ubin Group is out to give Singaporean zichar a modern makeover with the opening of its third outlet New Ubin Zhongshan Park in four-star hotel Ramada by Wyndham Singapore. You probably know the Michelin Bib Gourmand establishment for its signature dishes of cubed USDA Black Angus ‘Choice’ Rib-Eye (pictured in banner image) and Heart Attack Fried Rice. 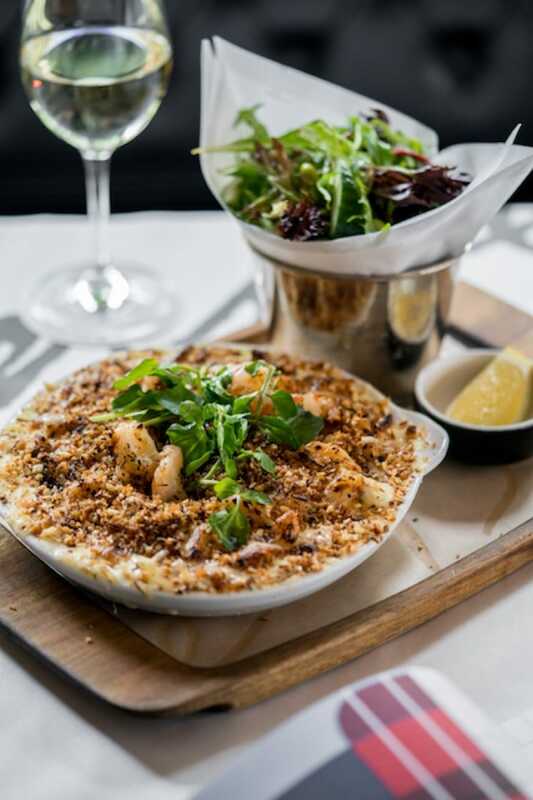 These and its repertoire of finger-licking seafood and wok-kissed classics will all be available at the upscale new outlet which boasts leather sofa booths and long wooden tables instead of the round communal tables synonymous with zichar restaurants. Also on the menu are hearty lunch bowls featuring New Ubin classics like the cubed steak and Lime Leaf Chicken with slow-cooked egg and stir-fried kai lan on a bed of fragrant fried rice. And New Ubin’s generous BYOB policy still stands at their newest outlet — bring your own wines and spirits and the servers will provide you with fine Riedel stemware, no corkage charge, no questions asked. 16 Ah Hood Road.